To buy and/or see the prices you must be a registered user. Big magnet with dog or cat and Swarovski crystals. WE INFORM YOU THAT OUR WHOLE PRODUCTION CAN BE REQUIRED IN BRONZE EDITION OR IN GOLDEN_PLATE EDITION. 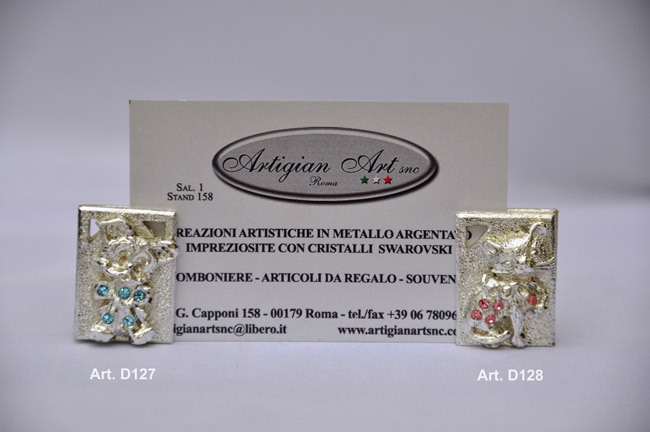 ArtigianArt S.n.c. - P.IVA 01456001005 - Copyright © 2019 - All rights reserved, forbidden also the partial reproduction. Informations and conditions subject to change without notice.